So she was late. So what? Jo smoothed down some stray hairs while she meandered down to the party. Of course, her phone was in her hand with the camera open. And of course, she had been taking selfies. Her followers needed to see this amazing Halloween moment, no way was she going to leave them out of the loop. She snapped a quick selfie, sticking her tongue out and winking, before writing up a quick post. She entered the party with a broad smile and with genuine excitement. Her first club gathering. She squealed in excitement upon seeing the decorations and the gang dressed up so extravagantly. Atmosphere on point. Stepping through the door was a small struggle, her tutu getting stuck, but worry not. She managed to get through the door and began to scout for familiar faces. He was also late, but to be fair, he'd stayed later at home until after Greta had left, wanting to surprise everyone with his costume choice. It was... very cheeky, perhaps even risky, for a vampire. As he exited out of the elevator and began to make his way to the party room, he bid Stephen a good night, and moved to mingle in all his unholy regalia. There was one woman in front of him donned in an extravagant ballet outfit, and he decided to make his way to her and make her acquaintance, considering she was unfamiliar to him even in passing. "Blessings, child," Osvald smiled, holding to his papal scepter. "Will you be putting on a ballet?" Jo sensed something behind her and turned around with a broad smile. It disappeared for a moment while she took in the old man's costume. Perhaps a bit longer than it really should have, but her smile reappeared once her brain clicked with what she was seeing. Delicate fingers pinched at the fabric of her tutu and she did a little curtsy. "If that is what you wish, Your Holiness," she smirked and did a little spin. Once she was back right around, she continued speaking, "I didn't know you were going to bless us with your presence tonight." If words of a nonbeliever could burn. Osvald smiled, a kindly old pope, and hummed to her display. 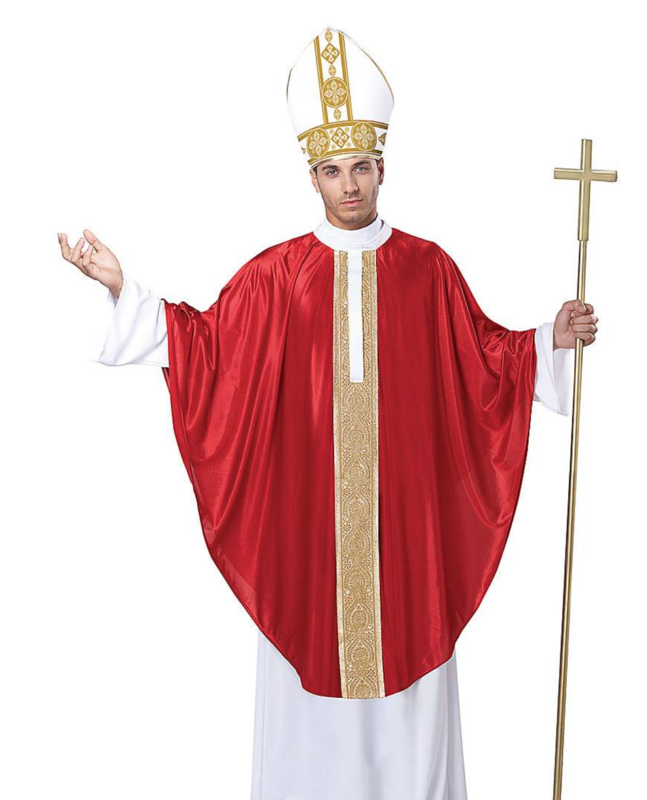 "No one ever expects the pope, I fear," he mused. "But very graceful, my dear. What is your name on this joyous night? I am Pope Pius the Third." Very in character, he was, a frail old man who had once lived alongside such characters. Oh, he was giving her his character name. Jo laughed and gave a little bow. "I am Josephine Beauchamp," she said in her best French accent. She had to sound a little more impressive, right? With another little twirl, she extended her arm for the holy man to take so they could enter the party fully. "Shall we, Your Holiness?" He had to admit he had no idea who Josephine Beauchamp was. A famous ballet dancer, perhaps? Perhaps. He would assume so, and smile kindly as she offered her arm. Clutch life was so... colorful! "So, Madame Beauchamp, where are you from?" he asked, truthfully expecting somewhere in France.